Solidarity Rally at Hecla HQ: Let’s Support Miners! 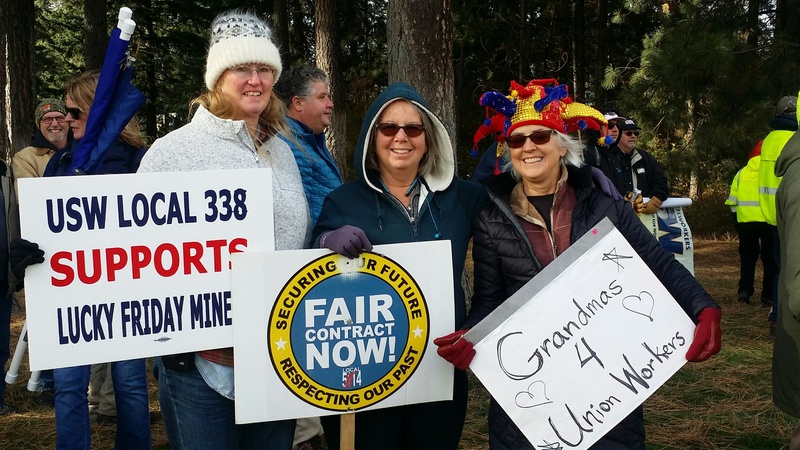 Shirley McFaddan, Kristi Milan, and Jan Studer stand in solidarity along Highway 95 in front of Hecla Mining Company Headquarters. 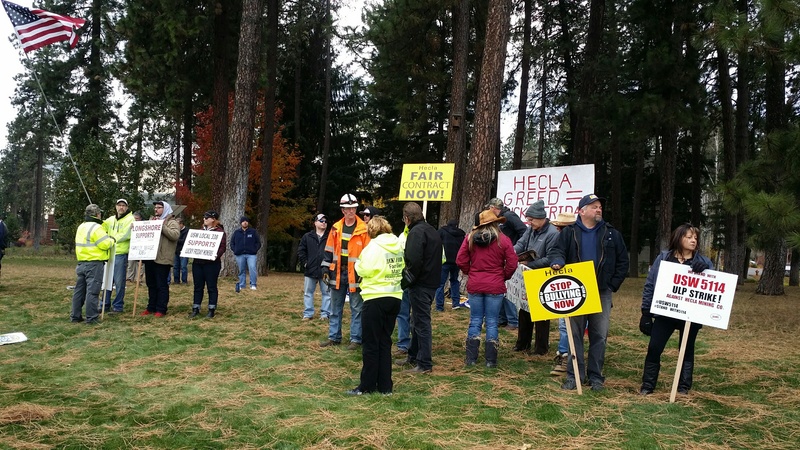 Since March 13th of this year, more than 230 of our USW Local 5114 brothers and sisters from the Lucky Friday mine in Mullan, Idaho, have been striking against the Hecla Mining Company. 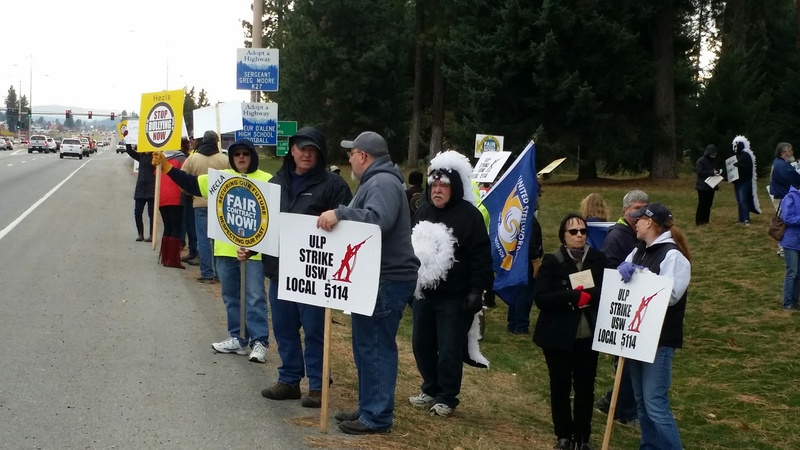 According to Dave Roose, the Unit Manager for Local 5114, negotiations have stalled over the past 8 months. Every 5-6 years the miners have a chance to renew and negotiate their contracts. When their contracts came up for renewal earlier the miners did not ask for anything more than the same contractual terms they had in their previous contract. The new provisions the Hecla CEO is proposing will directly affect the miners by limiting who will get what work. For over 40 plus years seniority has always determined who gets the best paying jobs; however, the company management now wants to select who gets the work. This means that Hecla will likely select the cheapest labor, usually the newest miners, leaving the more experienced miners to pick up the scraps. Kevin and Leenie Day say this makes the mine a more dangerous place to work as the newer miners do not have the same level of experience. One can imagine that when miners work long hours deep inside a dark, dank, and inherently dangerous mine, safety weighs heavily on their minds! 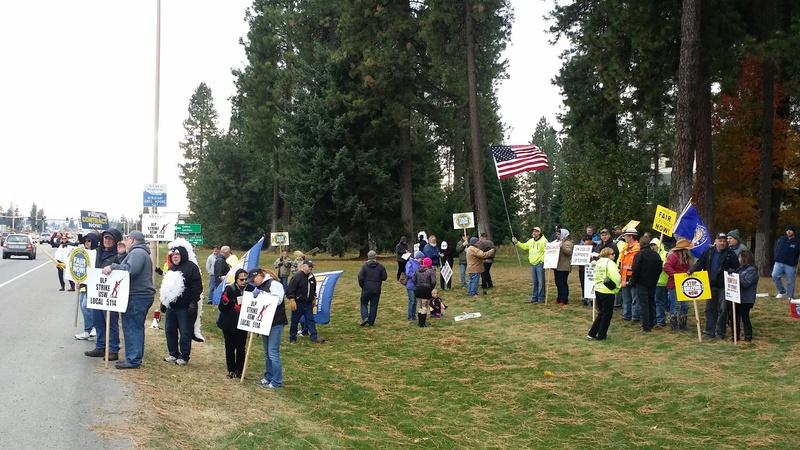 Striking miners and their supporters stand together along Highway 95 north of Coeur d’Alene to draw public attention to their cause.